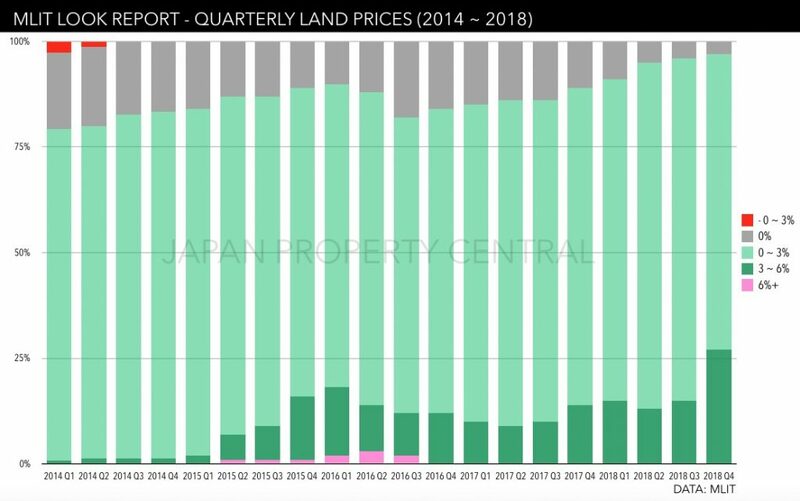 On February 15, the Ministry of Land, Infrastructure, Transport and Tourism (MLIT) published their quarterly LOOK Report for land prices in Japan’s major cities in the fourth quarter of 2018. According to the report, land prices increased in 97 of the 100 surveyed locations. This is the highest share in the history of reporting, beating previous records set in recent quarters. It is also the fourth consecutive quarter to see increases in over 90% of locations. None of the districts saw a decrease in land prices. There have been no reported land price decreases since the third quarter of 2014. Overall, 70 locations saw 0 ~ 3% growth, and 27 locations saw 3 ~ 6% growth. Central Ginza’s commercial district has seen no change over the past two quarters, while other nearby commercial zones such as Yaesu and Nihonbashi have seen 0 ~ 3% growth. The Shibuya Station area has seen five consecutive quarters of 3 ~ 6% growth. This is due to the massive redevelopment projects underway around Shibuya Station. 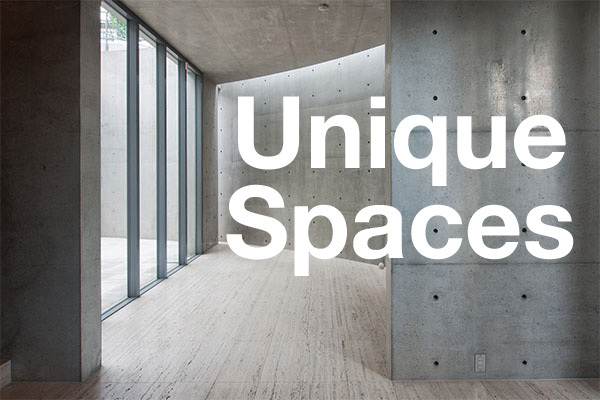 All surveyed locations in Tokyo, with the exception of Ginza, saw 0 ~ 6% growth in land prices. 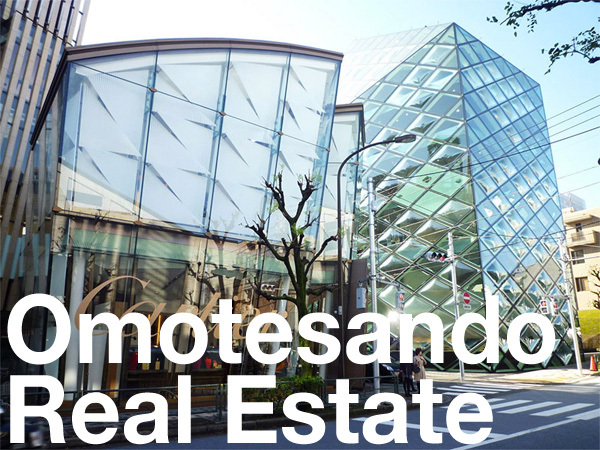 The Minami Aoyama residential district saw 0 ~ 3% growth for the fourth consecutive quarter. The consistently popular neighborhood continues to attract wealthy residents and constant demand from buyers. The high-end residential rental market has also remained healthy due to strong tenant demand. Developers and corporate investors continue to fight over the very limited supply of land. It may be unlikely to expect any major jumps in prices, but demand is expected to remain stable enough to support gentle price increases. Source: MLIT, February 15, 2019.